Kim Dotcom, a recent German billionaire immigrant to New Zealand, continues to fight a US extradition order for alleged Internet piracy, money laundering and racketeering. Dotcom, who legally changed his name from Kim Schmitz in 2001, was first arrested January 20, 2012 – during a military-style assault by an elite anti-terrorist team on his Auckland home. It would be nearly four years, in late 2015, before the New Zealand government convened an extradition hearing. The court granted the request for extradition, which is currently under appeal. The case has caused great embarrassment for New Zealand prime minister John Key. Not only did the Government Security Communications Bureau (GSCB) illegally spy on Dotcom primary to his arrest, but New Zealand courts ruled the arrest warrant and the government order to seize his assets were illegal. Fisher provides an excellent summary of Dotcom’s financial empire and the legal and technological intricacies of the case against him. The book paints an ugly picture of a servile National government that seems to view New Zealand as a US colony and happily suspends the New Zealand Bill of Rights at the behest of the FBI and US corporate interests – in this case the Motion Picture Association of America (MPAA). The case revolves around Megaupload, a service Dotcom created in 2004 (preceding Dropbox by three years) enabling Internet users to store and share large files. The MPAA cried foul when Megaupload users began sharing downloaded new release films. Fisher (and the lawyers Dotcom consulted prior to starting Megaupload) maintain he is in total compliance with the US Digital Millennium Copywrite Act (DMCA). This law holds sharing websites (like YouTube) harmless for copyrighted materials posted by third parties, provided the sites remove them after being notified by copyright owners. Dotcom’s lawyers also contend that copyright violation isn’t an extraditable offense. This is why the US government has added additional charges of money laundering and racketeering. Despite Dotcom’s status as a New Zealand resident, the US Department of Justice is claiming jurisdiction because all global email traffic passes through eastern Virginia. Dotcom (and Fisher) believe the FBI targeted the billionaire after he made a $50,000 donation to Wikileaks. 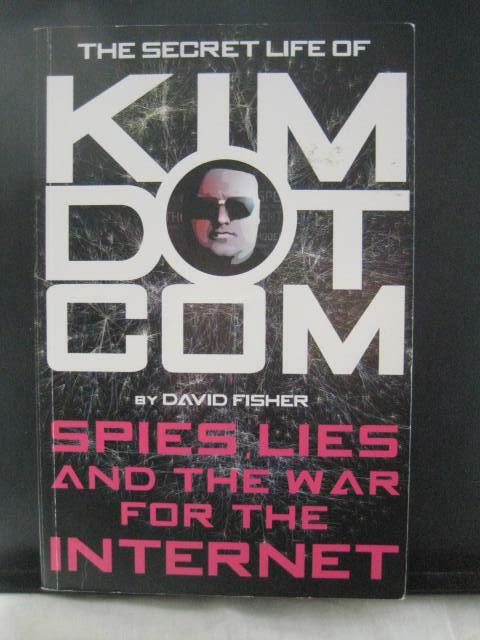 Additionally, Fisher believes Dotcom may have influenced Edward Snowden’s decision to flee to Hong Kong. Dotcom started Megupload in Hong Kong prior to moving to New Zealand and still has major business ties there. Dotcom’s appeal against the extradition order will likely extend into late 2017. Whoa Canada is an expose of illegal Canadian intelligence activities presented in the humorous satirical style of the Yes Men documentaries. The films credits list the Yes Men and Michael Achbar (directed The Corporation and Manufacturing Consent) as executive producers. The film follows the exploits of the founders of the ShitHarperDid.com website as they attempt to investigate the psychic Harper has hired (at taxpayer expense) as his hairstylist and makeup artist. These adventures are interlaced with escapades in which they crash closed door meetings between Harper and other members of the Conservative government and their corporate clients and benefactors. The filmmakers also provide brief factual interludes revealing the extent of the Communications Security Establishment’s (CSE) illegal surveillance activities against Harper’s political opponents, their notorious racial profiling, their infiltration (along with the Canadian police) of the Canadian Occupy movement and the country’s barbarous treatment of First Nations Canadians. I was particularly intrigued to learn that Canadian telecommunications providers voluntarily turned over data on their subscribers to Canadian intelligence after the CSE paid them over $1.6 million for it ((unlike the US where the government compelled telecoms to turn it over). When CSE security guards deny them access to the multibillion dollar CSE security complex, ShitHarperDid.com activists hire their own psychic to visualize activities taking place inside the building. Her findings are later confirmed by NSA documents leaked by Edward Snowden.